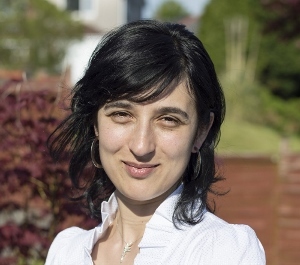 Sofia is an NRN Research Fellow at Swansea University and Centre for NanoHealth. In collaboration with Inês Pinto, head of the cell mechanics lab at INL, Sofia is developing a biosensor for the detection of epigenetic biomarkers associated with cancer risk and progression. Sofia holds a degree in Biological Engineering awarded by University of Minho and a Master in Technology, science and food safety by the University of Porto and University of Minho. Sofia graduated from the College of Engineering, Swansea University in 2014 with a PhD in Nanotechnology and Biosensing. Her current research interests include the development of novel nanosensors for early disease diagnosis. Working within the Centre for NanoHealth, her research involves molecular and cell biology techniques together with high-resolution material fabrication, functionalization and characterisation to develop next generation biosensors. Ernest Azzopardi, Sian Owens, Maxwell Murison, Daniel Rees, M. Anne Sawhney, Lewis Francis, R. Sofia Rodrigues Teixeira, Marc Clement, R. Steven Conlan, Iain Whitaker. Chromophores in operative surgery: current practice and rationalized development. J Control Release 2017 Mar 10; 249:123-130. Rodrigues Teixeira S., Lloyd C., Yao S., Gazze A., Whitaker I. S, Francis L., Conlan R. S., Azzopardi E.
Polyaniline-graphene based -amylase biosensor with a linear dynamic range in excess of 6 orders of magnitude. Biosensors and Bioelectronics 85 (2016) 395-402. Azzopardi, E. Lloyd, C.; Rodrigues Teixeira, S.; Conlan, R.; Whitaker, I. Clinical applications of amylase: Novel perspectives. Teixeira S., Ferreira N. S., Conlan R S., Guy O. J., M. Goreti F. Sales. Chitosan/AuNPs Modified Graphene Electrochemical Sensor for Label-Free Human Chorionic Gonadotropin Detection. Teixeira S., Conlan R S., Guy O. J., M. Goreti F. Sales. SWCNT Screen-printed electrode as an immunosensor for human chorionic gonadotropin. Electrochimica Acta, 136(1):323-329, August 2014.